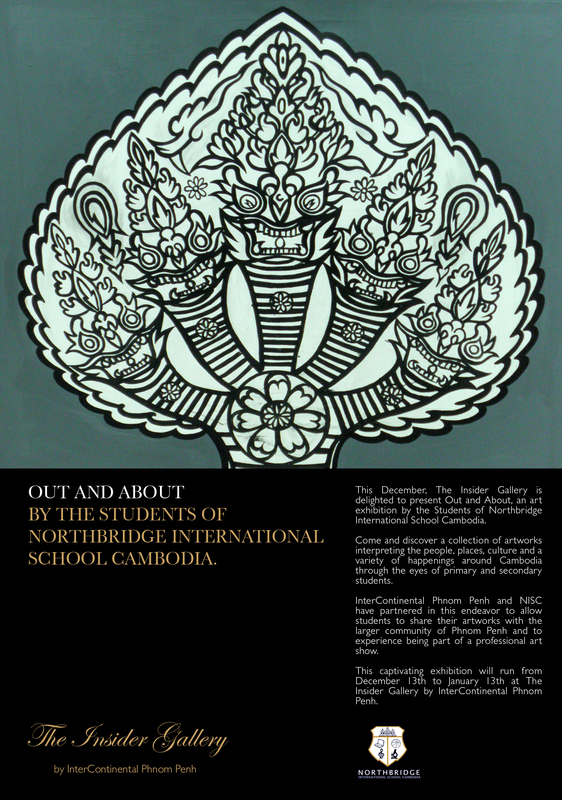 We are preparing for the second art exhibit partnering with the InterContinental Phnom Penh in just 2 days! Today Ms Anna and Ms Kelli dropped off all the artwork to be hung and labeled. Then the opening of the “Out and About” Exhibit is at 6pm on Thursday, 13 December! This entry was posted in Arts at NISC, Community Connections and tagged art, exhibit, grade K-12, InterContinental, NISC, Northbridge, Out and About. Bookmark the permalink.